The site in Granite Mountain Hotshots Memorial State Park where 19 firefighters died in the Yarnell Hill Fire June 30, 2013 in Arizona. The crew did not know the exact real-time location of the fire, and others assumed the firefighters were in a different, and safe, location. Photo by Arizona State Parks. On February 12 the Senate passed the Natural Resources Management Act described below with a vote of 92 to 8. It directs the Secretary of the Interior and the Secretary of Agriculture to implement systems to enhance the situational awareness capability of wildland firefighters. A last minute attempt by Senator Rand Paul to authorize the sale of some U.S. Forest Service land in Kentucky was shot down. A bill that was introduced a year ago in the 2017-2018 Congress that could enhance the safety of wildland firefighters has been resurrected in the new Congress. Last year S.2290, the Wildfire Management Technology Advancement Act of 2018 looked like it had a chance of being passed after being approved unanimously by the Senate Energy and Natural Resources Committee in December. Most of the provisions in the bill have now been incorporated into an omnibus bill, a conglomeration of over 100 pieces of legislation combined into one huge lands bill that is hundreds of pages long. It is designated as Senate Bill 47, the Natural Resources Management Act and has 15 bipartisan sponsors — 7 Democrats, 7 Republicans, and one independent. In a February 5 procedural vote 99 out of 100 senators voted yes. Rand Paul of Kentucky was the lone dissenter. But it still needs full passage from the Senate and the House and of course a signature by the President. If the bill passes and is actually implemented by the federal land management agencies it would generate progress toward what we have called the Holy Grail of Wildland Firefighter Safety, knowing the real time location of a fire and the resources assigned. Too many firefighters have been killed when one or both of these critical pieces of situational awareness were unknown. Recent examples with a total of 24 line of duty deaths were on the Yarnell Hill and Esperanza Fires. 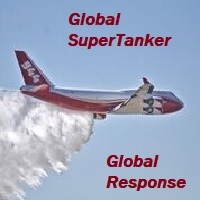 The technology to monitor in real time a fire and firefighting resources has existed for years. Various systems are being used already by a few state and local agencies. The military does it for their war fighters, monitoring the enemy and their own forces. If implemented on fires, it will save lives. Firefighters lives are as important as soldiers. We were told by a staffer in Washington that articles on Wildfire Today in which we wrote about the Holy Grail of Wildland Firefighter Safety were distributed on Capital Hill to inform legislators about the issue. The key points, below, in the legislation as currently written, have requirements for the Secretaries of Interior and Agriculture. The completion dates will be established from the time the legislation is signed. 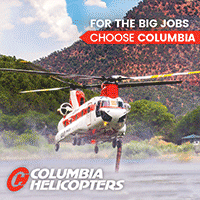 This version of the bill removes the previous requirement to conduct a study to determine the feasibility of operating aircraft at night when managing wildland fires. The bill does not appropriate any additional funding to implement the real-time tracking provision. A study by the Congressional Budget Office concluded that the estimated $8 million cost is “insignificant” in the overall billions of dollars spent on wildland fire. Discussions behind the scenes in Washington are centered around small tracking devices being included in kits available from the wildland fire warehouse system which can be ordered by incident management teams the same way they order radio kits. The devices could then be distributed to personnel and other resources on fires. 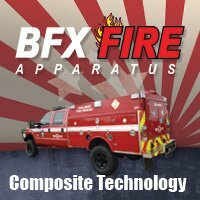 The newer Bendix-King radios used by firefighters already have GPS receivers which could be used to provide location data in a tracking system. There is no routine annual funding for the land management agencies in this bill. That is addressed in H.R.266 which has not been passed. If the agencies are not funded they will be subject another government shutdown on February 15. In the video below published on February 4, Senate Majority Leader Mitch McConnell appears to favor passage of the bill — beginning at 1:30. If the technology is already there, as stated in paragraph 5, then why are they wanting to re-invent the wheel. If the military uses it and some other state agencies use it then activate the system for all and get on with the project. How the politicians love to talk,make new laws and spend money when the money has already been spent and the system is workable at this time. Stop the nonsense and protect our fellow firefighters now. Not in some future time frame after the pols have talked it to death and run the costs to the moon. Disagree with your statements on all points…. 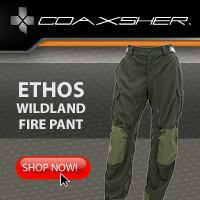 If there is no money for this technology, how are the agencies going to afford to outfit each and every firefighter? 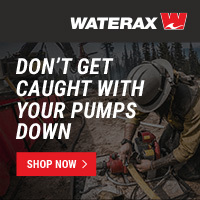 Not all fires need to be put out….it’s because of your thought process that we find ourselves in the situation of overloaded fuels in the forests. (That and climate change). Putting fires out is the goal, but fire use is a viable option where letting it burn outweighs the option of 100% suppression. Where would you spend the money??? Where is it needed??? The option of “place fewer firefighters at risk…” is not possible. Plain and simple. Fighting fire is a dangerous job, regardless of the steps taken, there will always be risk, it will always be that way, even with tracking and knowledge of where everyone is at all times. Those who think otherwise, or think that having a 215 filled out, mitigates the hazards and dangers don’t have a clue of what the job entails. Of course firefighters aren’t soldiers, but we do follow some military doctrine, we march in a single file line, we respect (for the most part) our leadership. We can and do use the military when the PL reaches a 5. The military fits right into our organization. And now, the reason I choose to respond to your reply….Granite Mountain IHC…. Air Resources Advisor? Don’t pretty much all Type 1 teams have an AOBD already? 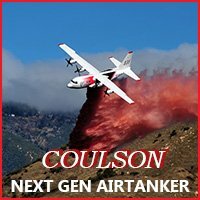 Standards exist for the number and mix of aircraft types that can co-operate without Air Attack? Type 1 incidents, and Type 2 normally, have AOBD and Attack, even Type 3 or 4 I.A. 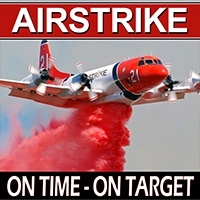 incidents usually have Air Attack if much for aircraft are responding. As some other comments suggest, are we reinventing a wheel on this part of it too or am I missing something? The concept is to provide advice and counsel on air quality, not aviation. 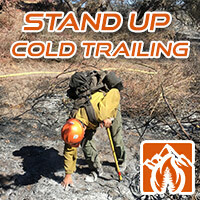 Many of us could make a list of 20+ things that could be done to enhance the safety of wildland firefighters. Two items, knowing the real-time location of the fire and firefighters, could save lives. No single improvement will guarantee that firefighters will never be killed on a fire, but each little, or big, improvement gives them a better chance. 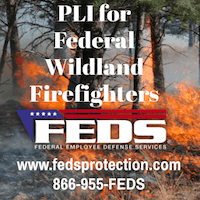 All wildland firefighters should follow the 10 Standard Firefighting orders, but they have been told that since the orders were first developed 62 years ago. If someone says forget other opportunities to enhance safety, but just “follow them”, what makes you think saying that again is suddenly going to change behavior? Don’t you think others have been shouting the same thing for decades? What we have been doing for 57 years still results in annual fatalities. If we keep doing the same thing we will get the same results. We need to seek opportunities, and perhaps (heaven forbid) try something different while still following the Orders. I read Section 1114 of the bill. A step in the right direction but an uphill battle. In the “go along to get along” D.C. environment, getting things done without funding is almost impossible. Unless the bill appropriates money for programs or directs a department to reprogram part of its existing budget or provides other significant penalties for inaction, things will happen slowly if at all. The USFS C-130 program is an example along with the AFUE data collection and analysis program. If the Departmental Secretaries concerned actually wanted these programs they would already have an effort underway. I suspect that they are stalled over a “who else can we get to pay and how much” conflict and from an outsider’s viewpoint, it is not apparent that either Department has fire fighting as a priority on their programs list. If the senators really want this to happen, they will actually have to make it happen. They will have to hold specific decision makers and leadership accountable for their actions or inaction. It will take persistent political pressure to get any action from an unfunded mandate.